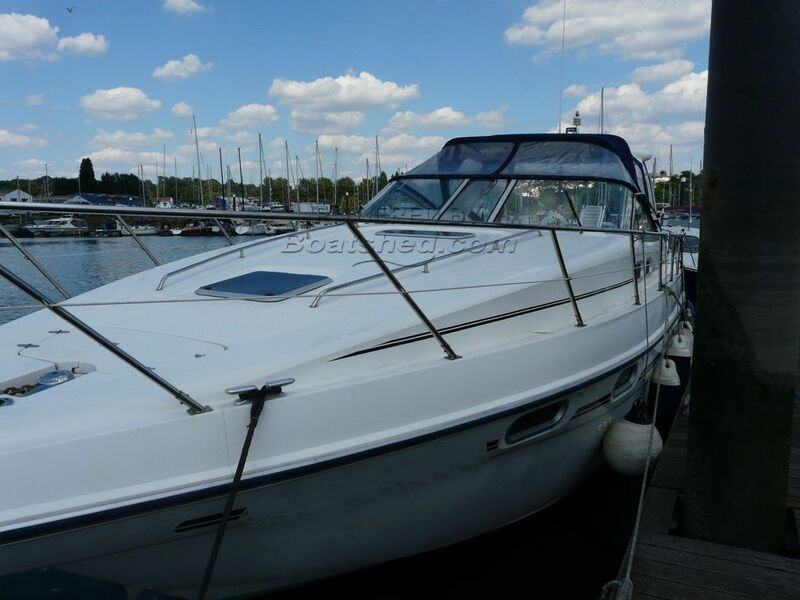 This S37 is a well-maintained example of a fast family motor cruiser. She is equipped with a pair of 240 HP Volvo KAD 42's which provides excellent sports performance. The accommodation comprises of two large cabins, one fore and one aft, as well as a spacious saloon. All the upholstery is original, and the boat has been well maintained over the years, showing little signs of wear. There is one heads and a separate shower compartment. The galley has basic microwave & fridge, to complement the fridge and sink on deck. On deck there is plenty of seating with a large table, all of these can be enclosed by the cover to provide extra seating room while being able to look at around you. This Sealine S37 has been personally photographed and viewed by Roger Drewery of Boatshed Southampton. Click here for contact details.